Praise the paws - the aroma is fantasticat and I sneaked a peak to see up close what PURRfectable delectable treats may be in this giganticat goodie bag - and let's NOT call it a doggy bag puhleeze! Last week, my adore-a-kitty pals dined at San Francisco's Delfina and their feline friendly selves asked their PURRfessional server - she made their whiskers wiggle with her stellar service - for a kitty bag. Yep it was loaded with their infamous freshlicious cured anchovies - now that's music to my mighty meowster ears. If I could get a cat sized table near their kitchen door, I'd have my paws at Delfina daily but my MasterCAT card is maxed out! And between anchovies and catnaps I attended my friend Violet's wedding - living in the City of St. Francis, my paws have oodles of pride as we're a City of incredukitty diversity - and that's catzowey! P.S (paws script) ... I gave Violet a Doggy Bag for her wedding gift! Without a doubt-a-cat, you know about our California heat wave with CATastrophic temps that might have shortened my 9 lives for sure. Couldn't even count the triple digikitty temperatures on my 4 paws! Catzowey - we needed a reprieve from the heat so I was told to trot my paws to a cooler place ... but it was tough trying to fit my mighty meowster self into the cooler! in a pawsatively PURRfect position that was more kitty comfy than that cooler. And all while stretching my glutiusmaxicat muscles. Stay cool! And I hope you and your abundacat feline loving friends can join me Thursday July 17th at this fantasticat Feline-Funraiser at Pet Camp Cat Safari where I will be paw signing YOUR copy of the coffee table book, "Luxury For Cats". Double catzowey because all proceeds from the book sales will go to the San Francisco SPCA's "Animal Assisted Therapy" program - and that's what I'm part of . Whiskers assured, you've seen me in my custom made kitty couture vest that decries GUIDO is a certified Animal Assisted Therapy animal. It doesn't get me a free ride on the cable car but it certainly stirs up some great cat chat as we ride the rails in The City By The Bay. Because I'm a creature of habit and a PURRfectionist, my 4 paws PURRused the book from all sides. Isn't it ridicucat to think that I should be checking my favorite feline photographer's work ? This isn't a Good Housekeeping approval gig, it's 4 Guido Paws UP to my guy, Mark Rogers Photography who doesn't need to air brush my whiskers because his eye is right on my cat eye and meowvalous Mark has got what it takes behind the lens (and he does it without catnip!). 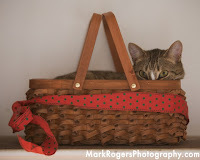 Mark rocks and you will purr with his catability to capture you and your 4-legged friends. He's the cat's meow. Who said "reach out and touch"? Euro Euro On The Wall - Who's The Kitty Deserving of All? Well, well and more wells ... we Americats would love to dash and deliver our adoracat selves to far away vacations ... absolutacatly! But my crystal catnip-ball genie has read my paws (yep, all 4 of them) and my Financicat Advisor has advised me to forget tailing it overseas and to also forget again, the fine feline driving vacations that may be on my mighty meowster mind. Why?? Because it's a summer of 'no paws will travel and let's unravel at home'. Hiss fit and catzowey too: it would cost me mountains of Friskies to fill my kitty car tank or hey, let's discuss my pawsative thoughts about flying these days - they want me to pay to check my litter box??? So say hey folks, how about staying home and chilling out in your own suPURRfect sun rays? Yep, it's a catzowey idea and here's me and my paws in a new venue. You can do this too! Just aim for a good sun ray, grab a green catnip tea or a meowvalous milk drink and you've got Vacat-a-home - the latest and greatest way to chill out when you're just achin' for a vacation and your budget isn't Sushi grade any more but more like canned Seafood Supper Supreme. So after an exremely lengthy catnap to ponder exactacatly what to do, I made a pawsatively politicatically correct decision: toss the ballot and get into some fine feline reading that would make me purr and not get me stirred. Ahhh, food food food does it for this mighty meowster and my motor would be humming if I could get my paws on that crustacean creature you see on the mag cover!